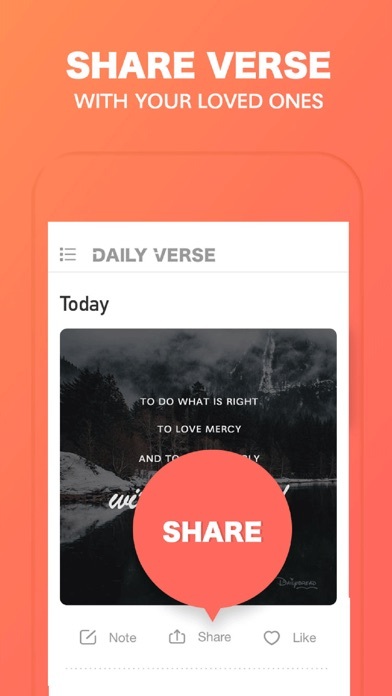 -Inspirational Verse with beautiful image -Thoughts and Prayer helps you understand the verse well. -Personal verse alarm setting. 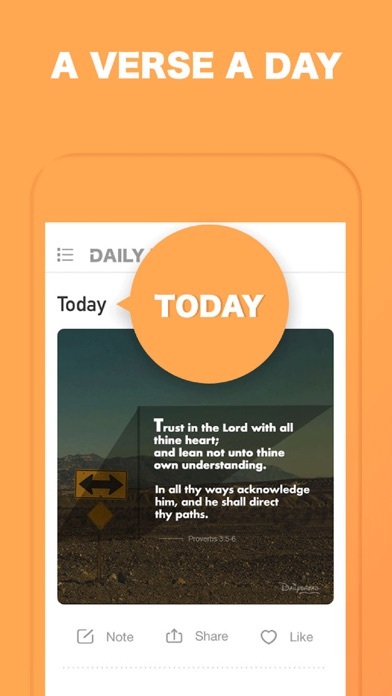 -Easy to share: Facebook, Whatsapp, Twitter, SMS, email, etc..
With the best Bible Verse app, you’ll have the courage to get up each morning, get out there with your brave heart and make yourself happy again. 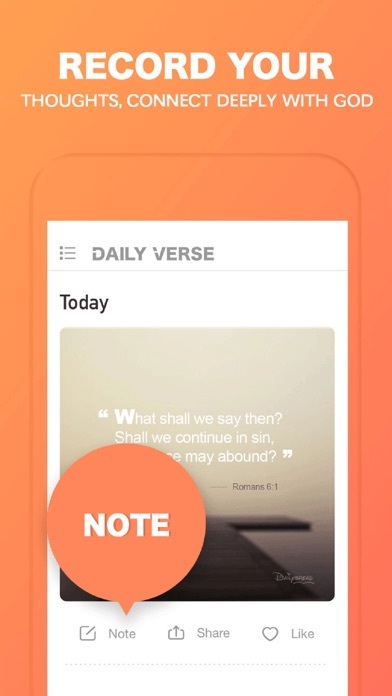 Sometimes we as Christians need to be reminded of who we are and who’s we are; this app reminds me. I enjoy the scriptures, daily inspirations and prayers. Definitely recommend. I have really liked this app. Got real inspiration and insight from it. Now it is shorter and less inspirational. Just a quick off hand response. Go back to former writer. I wish we were able change the Bible version or translations. That would make the app even more awesome! I’m unable to close the ad popup because it is under the battery icon in the upper right corner of the screen. I like the app a lot. 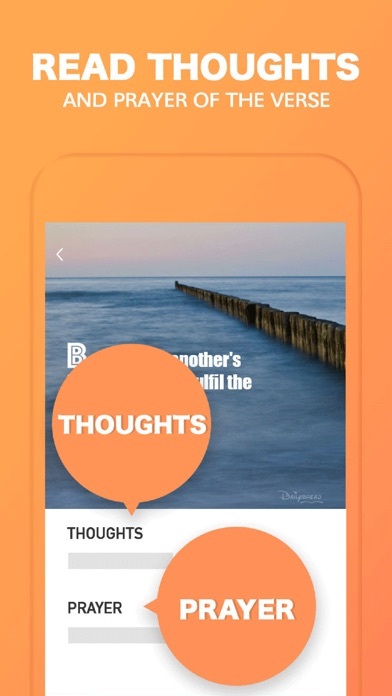 Such great inspirational Christian words; however, many, many times when I click on the app to obtain a word from on high, a secular video advertisement will pop-up first and it just kills the mood. Perhaps you can’t control that and I know that apps are not free to maintain; but if you’re going to insert ads, can we have some ads that are religious based? Especially when I want a Christian devotional for the morning or evening, I’d rather see an advertisement for a Christian or religious program, item for purchase etc., not a video game, Quickbooks, etc. Thanks. I enjoy the reading of the daily verse after the grandkids board the bus and the house become very still and quiet. Gives my spirit a lift first thing in the morning. This app is perfect and I love using it. 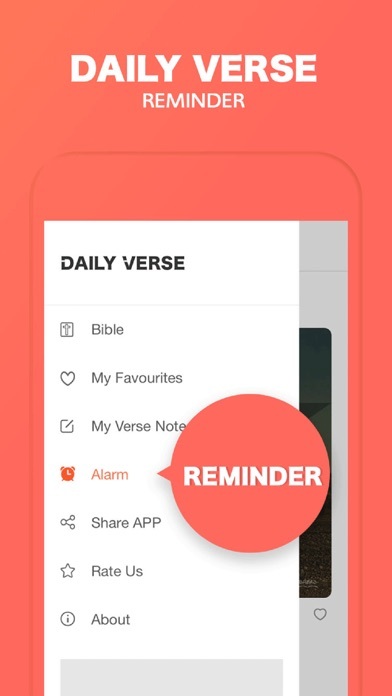 It gives a short verse every day and follows with thoughts and a prayer about the verse which is super helpful. Perfect for someone who wants to read the Bible and get closer to God but doesn’t know how to start or have a lot of time. Love this app!